Anthony West and Tristan Adamson Team Up with Furygan. The new year starts with a bang for Anthony West and Tristan Adamson, who have just landed a sponsorship for the 2018 season with Furygan. The French brand, which recently made its entry into the Australian market, in partnership with BCE, the exclusive Australian importer, is proud to announce its association with two of the most promising talents in the sport- Anthony West and Tristan Adamson. 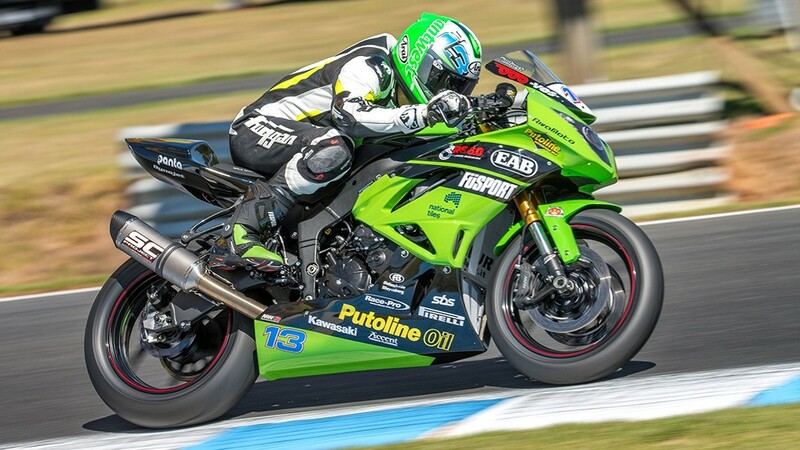 Anthony West, 36, from Maryborough Australia, has a wealth of experience on the motorcycling world stage, having raced in almost every world championship from WorldSBK to MotoGP, FIM Endurance, CEV Moto2, as well as taking on various categories in MotoAmerica and Asia SS600. West will be looking to take advantage of his racing expertise and convert his many years on-track into wins this season. 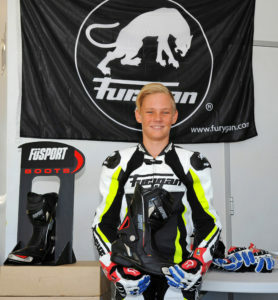 Tristan Adamson Fitted up in his new Furygan Full Apex Race suit. Anthony West will have his first chance to impress on home soil sporting the Furygan Full Apex Perforated Suit, at Phillip Island on February 24th – 25th when the lights go out for Round 1 of the 2018 FIM World Supersports Championship.